ALERT! All of the links in this post have been generated by Zemanta. I did not add these links, so check them before shooting off to parts unknown, yo. I am going through all my folders and ditching stuff and cleaning up my comprooter. It is hilarious that the minute I added this image, Zemanta suggested forty photos of President Molenose McDumboears. I found this from forever ago. 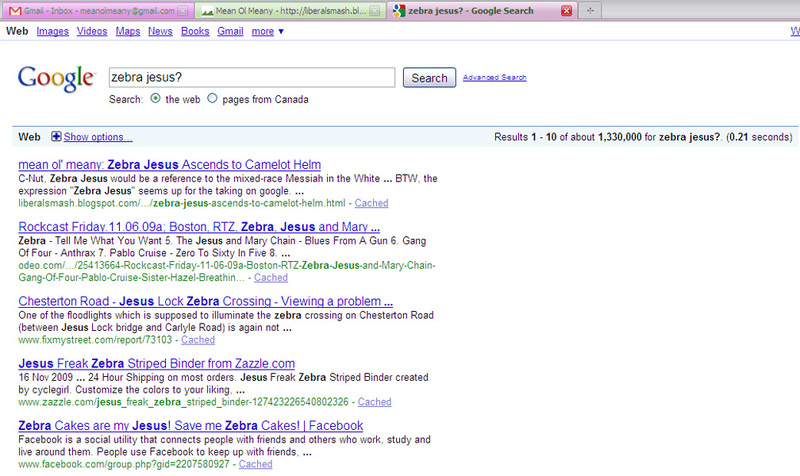 No, I am no longer number one on Teh Google for "Zebra Jesus." I have failed in my ONE lifelong quest. Anyhoo, I am steadily working toward the relaunch of my business blerg (relearning Wordpress is not the easiest thing in the world), I am trying to put together an affiliate marketing SCHEME for said business blorx, and I am trying to keep from folding the business entirely because of the HORRIBLE Democrat-caused Greater Depression. Can someone please tell me how the Democrats have ever gotten another single vote since they formed the Klan and started killing Republicans and black folks? And what in the Hell is The Girl With the Dragon Tattoo and why do I see this every time I boot my comprooter? Just so you know, I would appreciate it greatly if you would use your drop-down "SHARE" button on this post on your FAILbook. Yes, of course, this is yet ANOTHER ridiculous traffic test. Do it and you are eligible to win a lifetime supply of posts on MoM and a chance to be shortlisted for the next guest-er topic of your choice. The more you enter, the better your chances of winning. Trust me, I am checking the entire FAILbook site to see how many times you post this post in your posts on the posts of FAILbook. And also, this post represents the first time that I am applying ALL the Zemanta tags on everything. 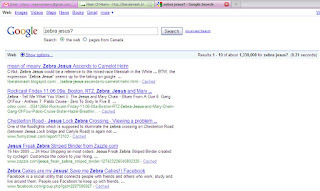 Hover your cursors over the links before you click them to see where they lead. I literally have no clue, before I publish. Don't you just hate being right all the time? Red, I am kinda getting tired of it, but things are really easy to predict. And after you relearn the Wordpress, and after you figure out how to stop the spammer hell from infiltrating your site, will you let me know so I can do the same? I have a friend that has a Wordpress blog that swears by "Akismet." Check in to it. Andy, I have Akismet installed on mine, but I have not really published yet, so no comments. Yeah, Akismet is da bomb. The downside is you still have to check the "pending" -- and "spam" -- queues, particullarly at first, especially on a business blog. Still worth the effort. I am going to be ready to go live any minute now on the business blog. Dude, this has been a long time coming. The Girl with the Dragon Tattoo is a so-so mystery novel that seems to have sold well. Thanks for the confidence, Skunkfeathers, but my comment about going live with my business blog hit a snag. For some reason, it freaking disappeared and they cannot find it, so dude, I am BAD wrong on my comment. Miriam, I think I am going to pass just because of the huge advertising push on it.